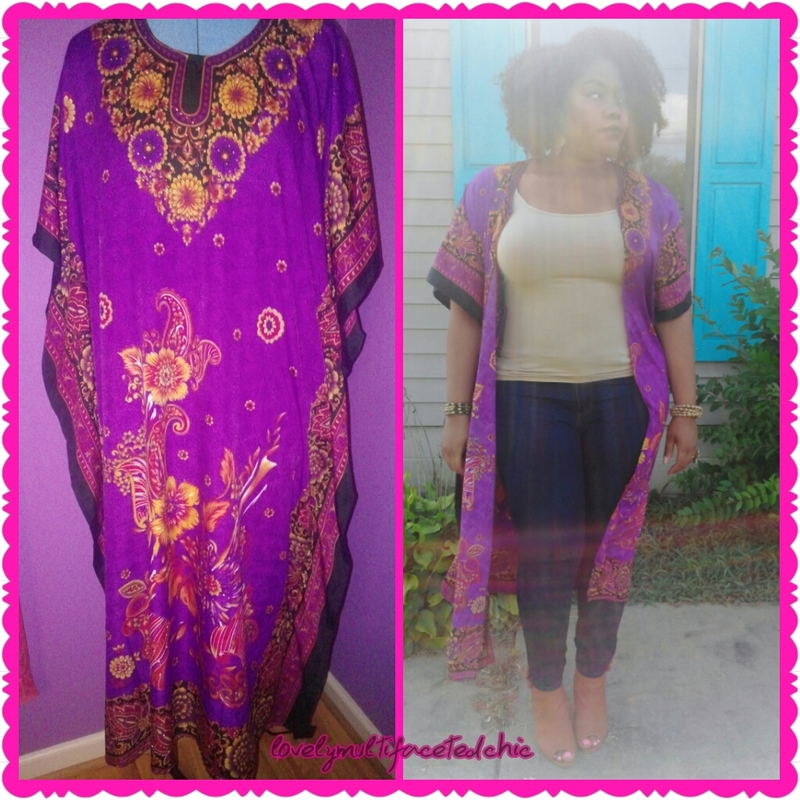 Caftan Turned Kimono Cardigan – Lovely.Multifaceted.Chic. It’s been over due for a DIY sewing project and I wanted to share a recent project I have done. 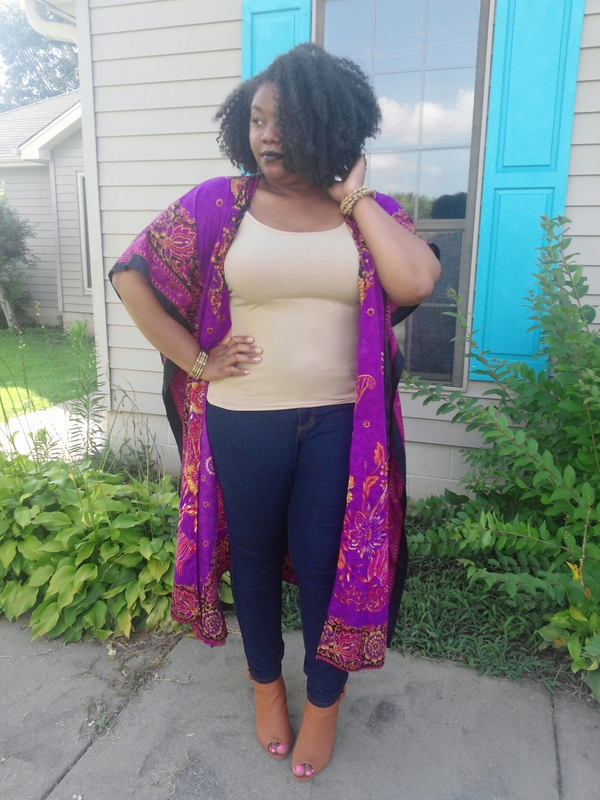 I’ve been slightly obsessed with kimono cardigans. 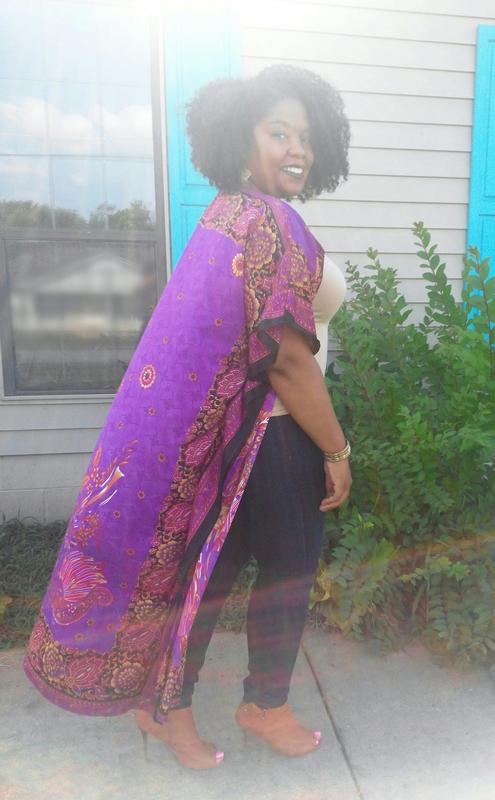 So one day, it came to me to that I could make a kimono using a caftan. 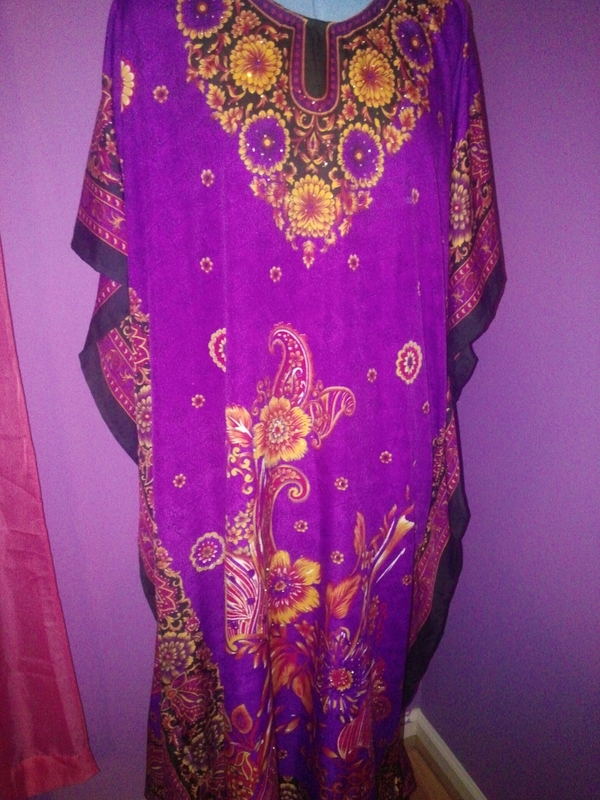 I found this really cute caftan from Ross ($8.99). It was fairly simple to make. 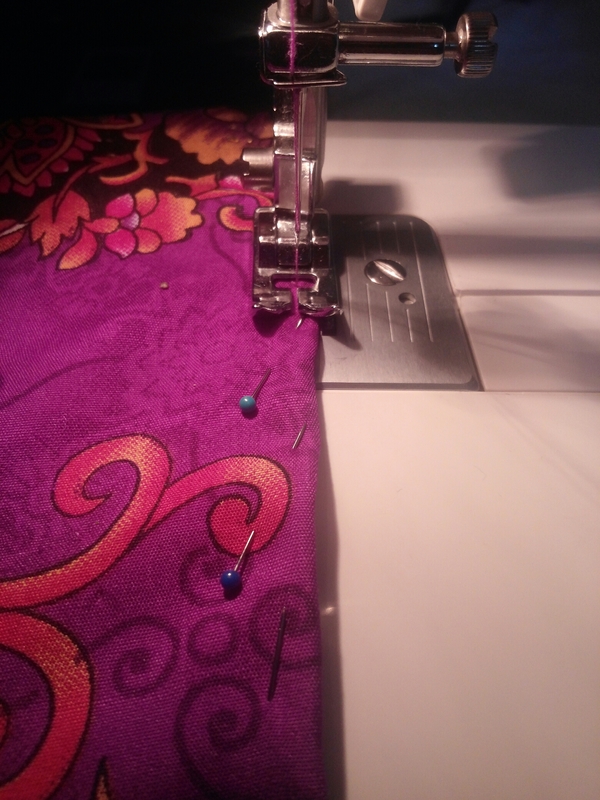 I laid the caftan flat on a table and cut a straight line down the middle. 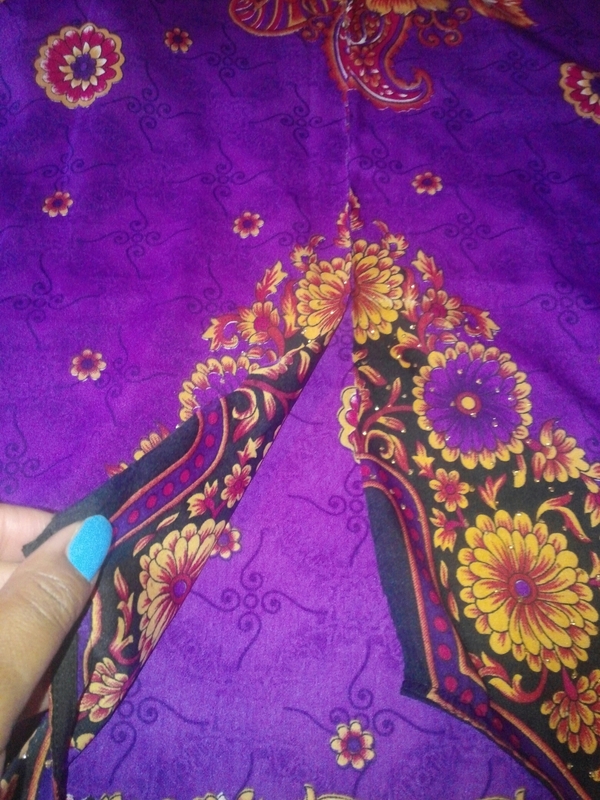 I then folded and pinned both sides of the fabric where I cut and sewed down the hem of each side. 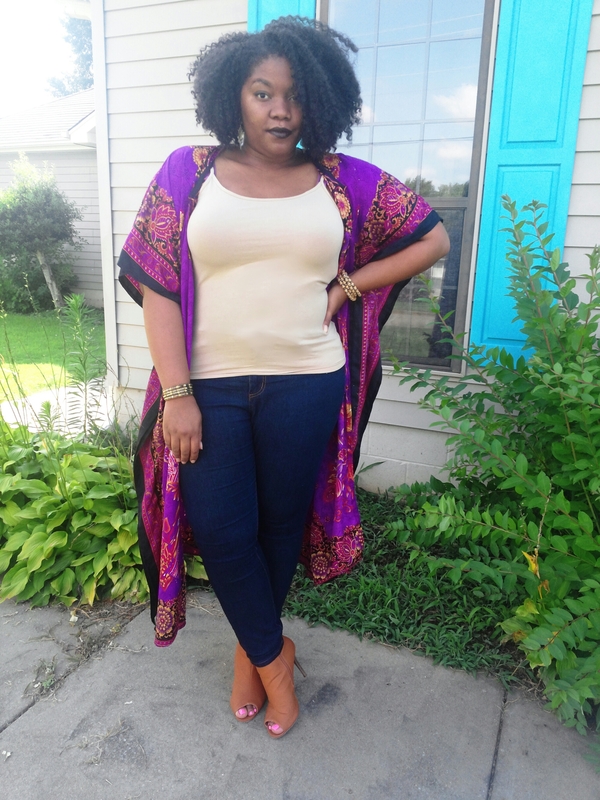 My tank top ($1.90) and jeans ($9.80) are from Forever 21+. My shoes are from Rue 21 ($6.00). This kimono has been multifunctional. 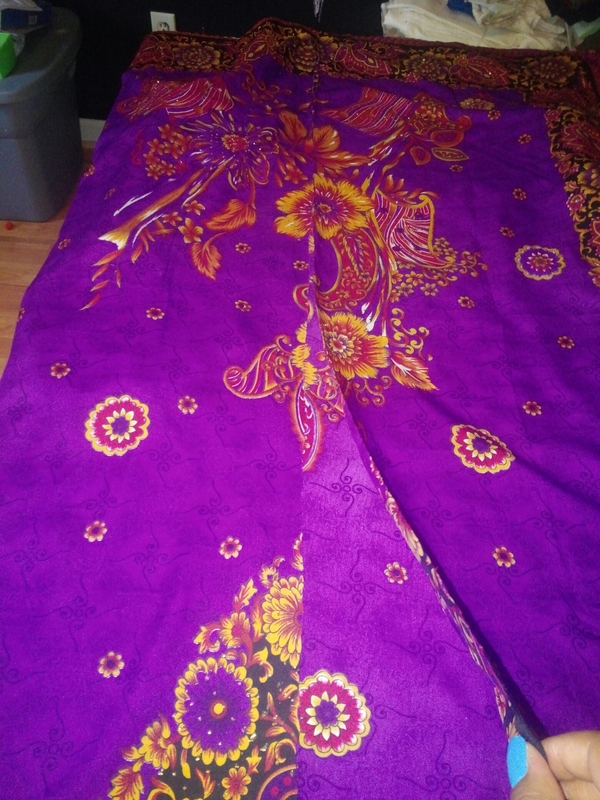 I have used it as a cover up for swimming and to wear around the house as an alternative to my fleece house coat. I hope you enjoyed reading this post. Be on the look out for more of my DIY projects. LOVE this! Looks amazing on you! This is your looks! The hair and the color purple both compliment you well! I love the kimono you made, but I also think it looks great as a caftan. Someone somewhere needs to invent a way to have it both ways. Thanks:-) I was thinking the same thing. I know… I should have got another caftan so I can alternate.